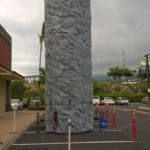 This 30ft portable Rock Wall Climber we call him “POHAKU” is available for rent on the Big Island. Portable and thrilling, this 3 bay Rock Climber has it going on. 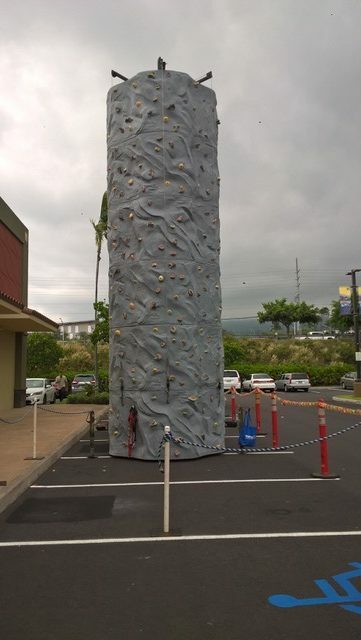 Perfect for big community events and fundraisers and 3 climbers at a time makes this attraction a challenge or a race to the top! Endless fun for kids and adults. 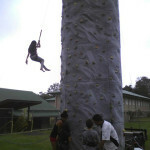 Price: $600.00 for a 3 hour rental, includes set up/down and the attendants that will run it for you. $175.00 per extra hour. Can be rented for extra hours – just ask reservations agent for details. Weight limit is 225 lbs. with a 45lb. minimum. 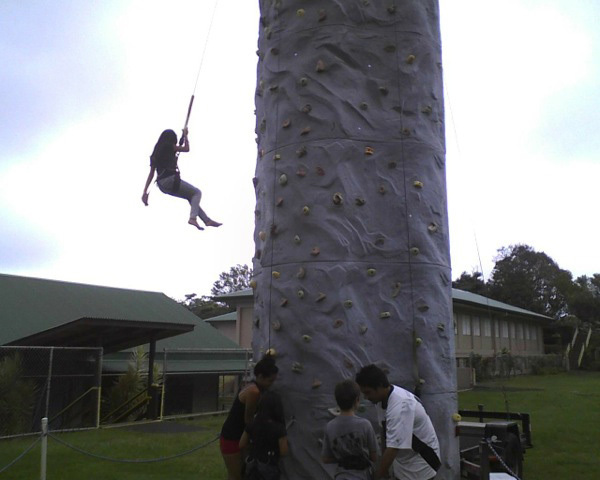 Located in Kona we are fully insured and able to set up at all the county and state parks. Travel fees do apply for any delivery out of the Kailua-Kona area. Click the images below to enlarge and view in a slideshow.